What is the same and what is different about these two shapes? Can you describe the shapes? I could draw a 'difference map' with some shapes. If I join the shapes with just one line it means there is just one difference between the shapes, if I draw two lines there are two differences etc. 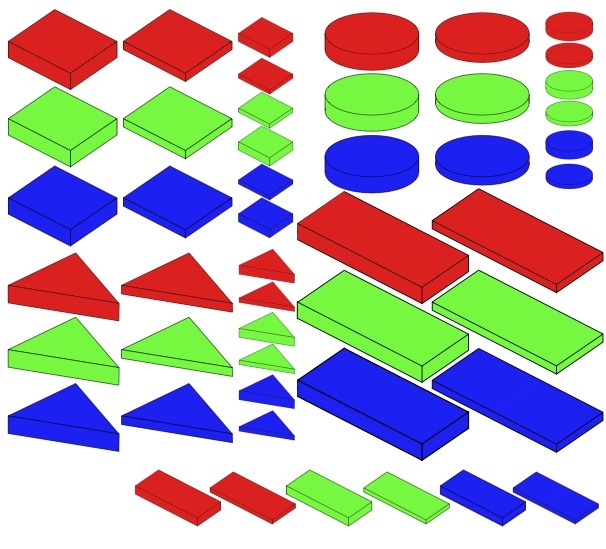 Can you fill in the boxes with shapes so that your map uses different shapes to mine? Can you make a difference map which doesn't have any single lines? Visualising. Working systematically. Addition & subtraction. Interactivities. Tangram. Investigations. Sets of shapes. Practical Activity. Compound transformations. Combinations.